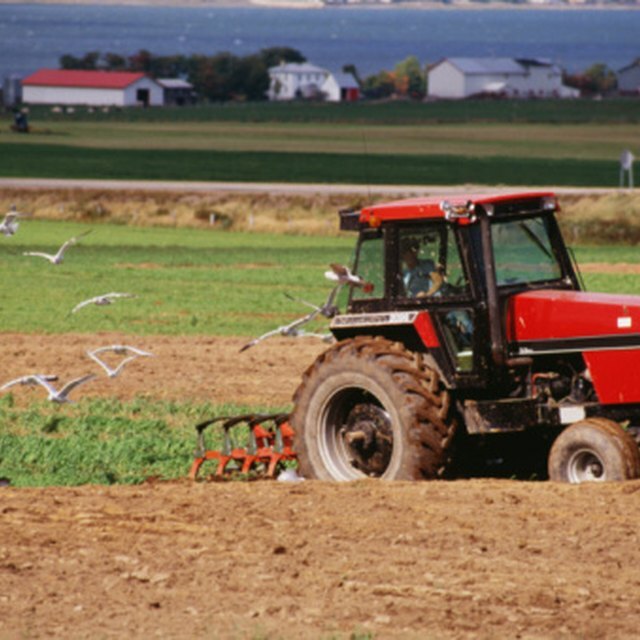 The Ford Motor Company has manufactured many types of heavy agricultural and construction equipment over the years including several lines and models of backhoes. The Ford 555 and the Ford 755 are both models of Ford backhoe/loader, constructed to different specifications. The backhoe attachments are rear-mounted on these pieces of equipment. 555-model Ford backhoe/loaders are available featuring one of two models of backhoe attachments including a regular 15-foot, Ford 765-model backhoe and a 15-foot extendable model. They can be fitted with a 12-inch, 18-inch, 24-inch or 36-inch bucket. 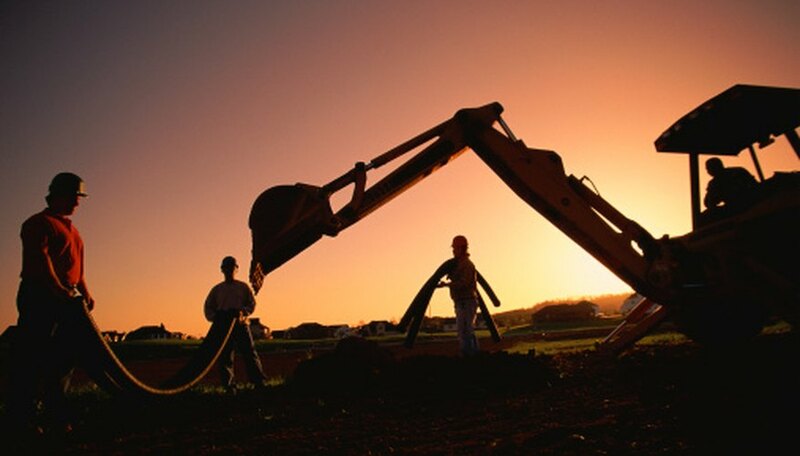 The regular backhoe can dig to 185 inches while the extendable backhoe can dig to a 232-inch depth. The 755-model backhoe/loader features a Ford-built 17-foot backhoe. This backhoe can be fitted with a 24-inch, 30-inch or 36-inch bucket. This backhoe offers a maximum dig depth of 206.3 inches. The engine on the 755 Ford backhoe/loader is bigger and more powerful than the engine fitted into the 555 Ford backhoe/loader. The engine in the 555-model is a Ford diesel engine. It is a three-cylinder engine that offers a 201-cubic-inch displacement. This engine has an output of 62 gross horsepower. The 755 backhoe/loader is fitted with a turbocharged, four-cylinder engine. This diesel engine offers a 268-cubic-inch displacement and 102 gross horsepower output. The Ford 555-model offers shorter dimensions than the 775 backhoe/loader. The wheelbase on the 555 is 80 inches while the wheelbase on the 755 is 89 inches. In terms of length between its longest points, the 555 is 276 inches long and the 755 is 307 inches long. The 555 is 81 inches wide while the 755 is 86.4 inches wide. The 555 Ford backhoe/loader was designed to offer 12 inches of ground clearance and the 755 offers 14 inches. The transmission system in the 555 features six forward gears as well as four reverse gears. 755 backhoe/loaders feature three forward gears and three reverse gears. Hydraulic systems are employed to provide backhoe movement on Ford backhoe/loaders. The 555 has a hydraulic system that holds 21 gallons of hydraulic fluid that can be pumped at a rate of 27 gallons per minute. The 755 can hold 43 gallons of hydraulic fluid and pump it at a rate of 28 gallons per minute. Leone, Jay. "Ford Backhoe Specifications." Sciencing, https://sciencing.com/ford-backhoe-specifications-7450008.html. 25 April 2017.